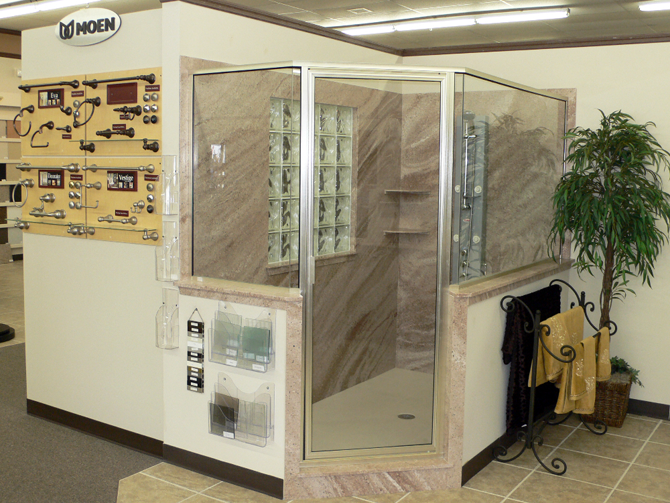 For those of you who want to renovate or install a new shower in your bathroom, it’s important to know that Wildwood Kitchen & Bath, Inc. is the area’s largest manufacturer and installer of custom solid surface material shower bases and wall material. Tired of cleaning grout lines in your current shower? Our solid surface material showers have NO grout lines to clean, and feature a sanitary, non-porous surface that’s made of durable one-piece construction. 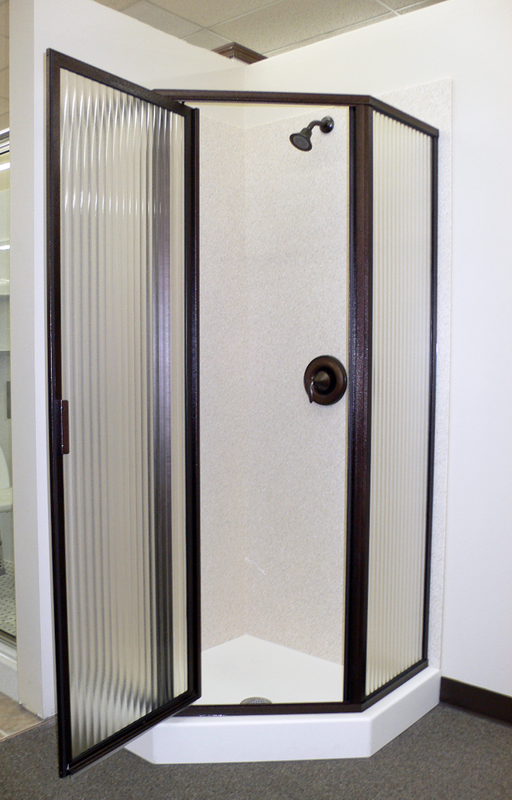 Our showers are affordable and are available in both custom and standard sizes. 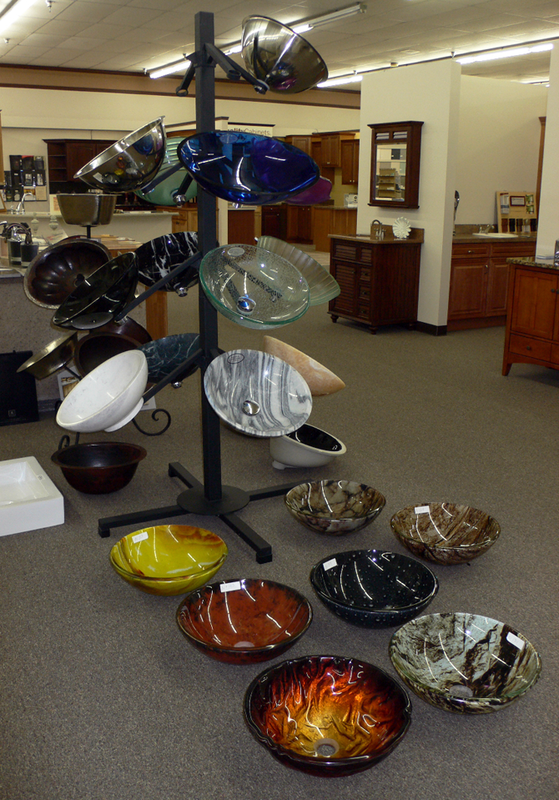 You also have a wide choice of colors and styles to choose from. 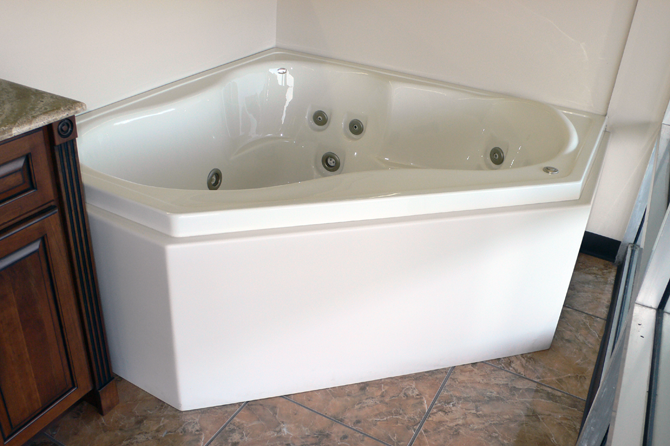 Wildwood Kitchen & Bath, Inc. sells and installs top rated American Standard whirlpool bathtubs. American Standard baths have unique features that are not found in any other whirlpool bath. 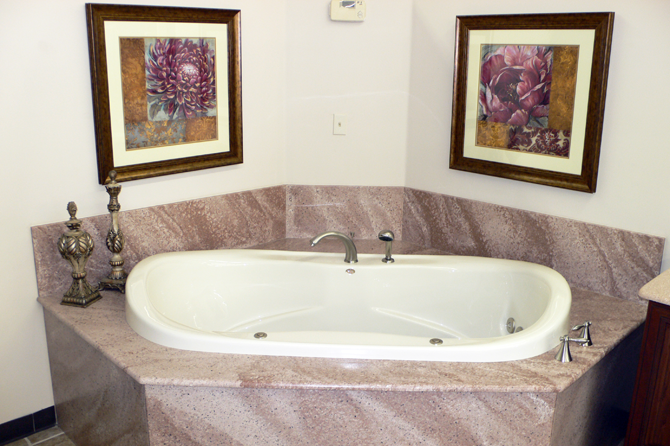 They have mastered the ergonomics of body comfort and perfect jet placement, giving you luxury at a reasonable price as well as the warmest bath experience possible. In fact, American Standard guarantees a hot bath every time. And unlike other whirlpool baths, you won’t need to buy an in-line heater to keep warm. High density foam insulation and American Standard’s unique passive warm air induction system allows American Standard baths to stay hot. Gently contoured lumbar support and spacious bathing wells combined with maximum hydro massage provide the ultimate escape and relaxation. 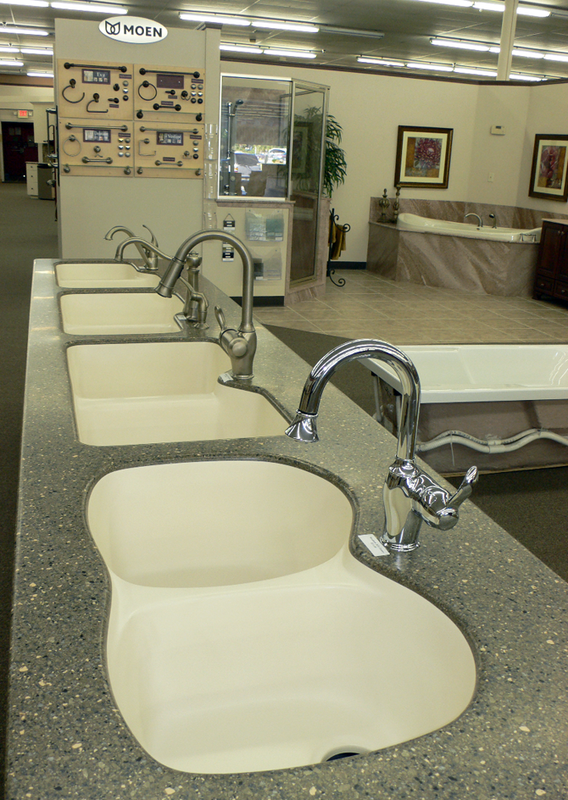 Come in and see our wide selection of Elite, Designer and Classic American Standard Bathtubs. To compliment your exciting new kitchen and bath design, Wildwood Kitchen & Bath, Inc. offers a large selection of designer products that will perfectly compliment the look you’re seeking to achieve. 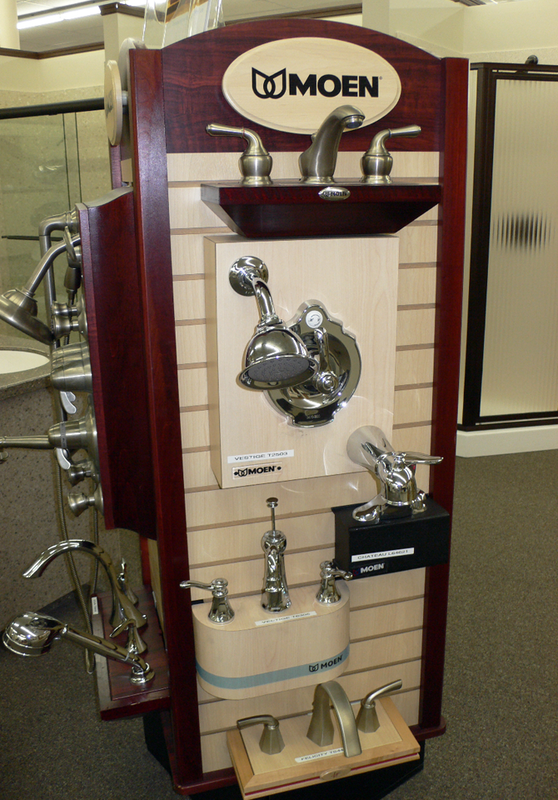 This includes a complete line of Moen faucets, grab bars, towel bars and other accessories and essentials. 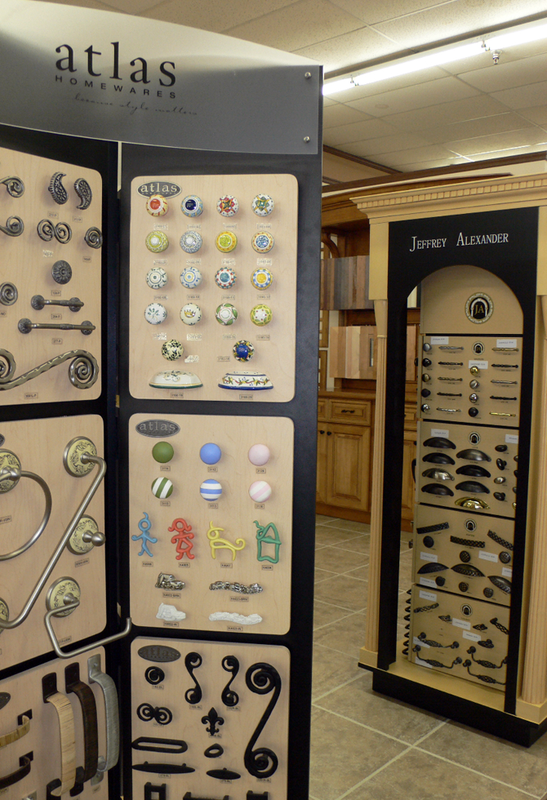 You’ll see many gorgeous and uniquely designed products not found anywhere else including custom sinks and mirrors. 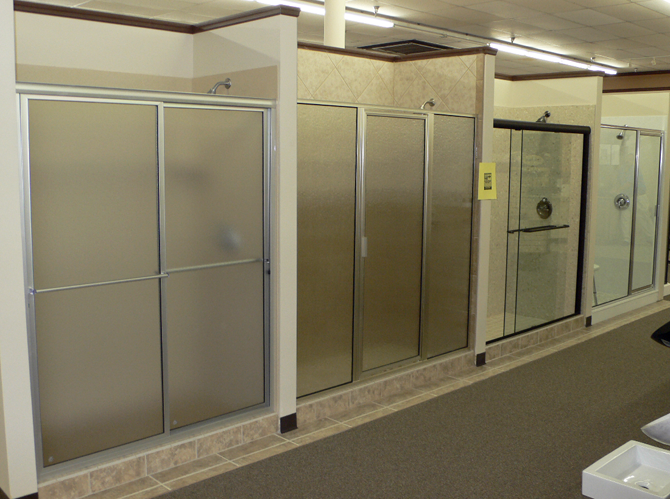 Plus, we carry a full line of Swanstone solid surface sinks and the area’s largest selection of shower doors. It’s the little details that add elegance to a new kitchen and bath space, and we have everything you’re looking for to compliment and personalize your new kitchen and bath.